The Taiji 37 form consists of 37 techniques, flowing from one into the next. In order to understand them they can be practised individually as standing postures. Each posture has its own points of concentration and engenders different spontaneous movements. In this way the practitioner learns to understand the postures at the deepest level. 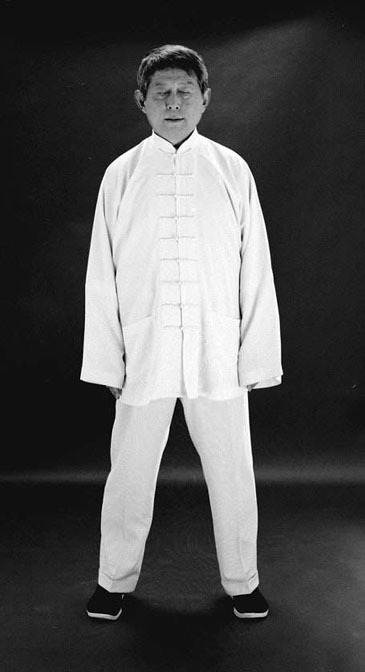 An example is the first posture of the form: the WuJi stance or the stance for standing meditation. Here the practitioner can make himself completely empty. When one fully comprehends all 37 postures, then from this first meditative posture any form can be spontaneously created.